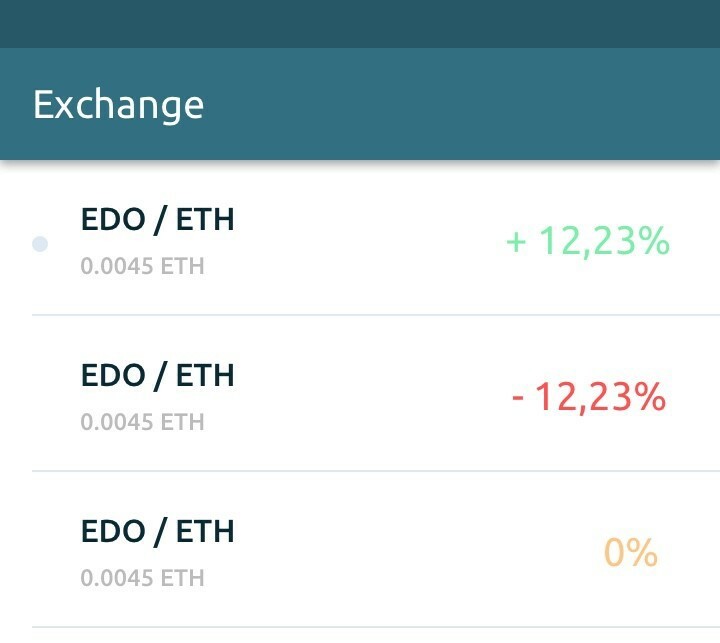 In this article, you will see how the Eidoo Exchange looks like and how it works. This is an essential part of our roadmap, and we are working hard on it to deliver you a very high-standard service. This exchange will be online in a few weeks. Stay tuned! As explained on our social media channels, the first pair to be released will be EDO/ETH. Then, in the next few weeks, we will be able to launch more pairs, including the most famous ERC20 tokens. Everything will be very user-friendly as it is our main goal for the whole Eidoo app. What is a hybrid exchange? 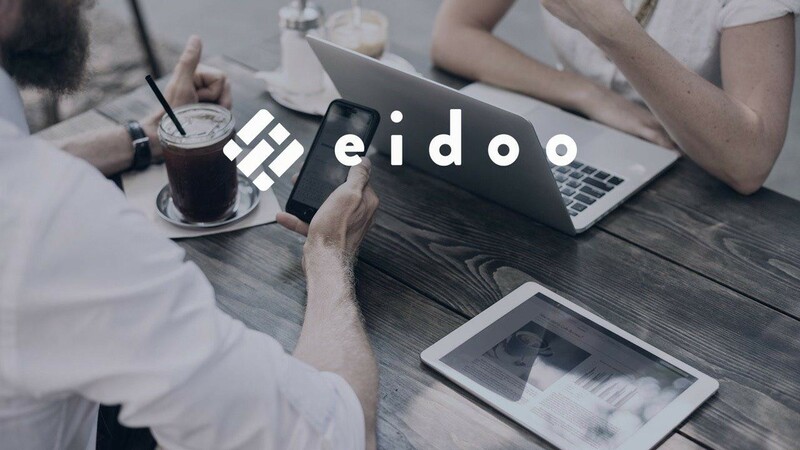 Thanks to the hybrid architecture of the Eidoo exchange, you will maintain total control over your funds that will be managed on a safe and trustless platform with the goal to overcome common problems of the blockchain space, or complexity, costs and security. In fact, we are working to solve these problems in the same application so that you can leverage the full potential of the financial products while having security-strong guarantees and stay safe. Your account will be based on an Ethereum smart contract where tokens will be placed. This dedicated accounts is necessary to enable atom swaps, but they also prevent the exchange from having unauthorized access to your funds. The order matching will happen thanks to software that is completely disconnected from the exchange smart contracts while still being fully auditable (thanks to the use of Oraclize authenticity proofs). This is both for efficiency reasons and for proving something the blockchain by itself is not able to prove — that there is no front-running by the operator. Once the centralized order matching engine (whose correct operation is proven by the authenticity proofs) has done its job, the correct matching is double checked by the smart contracts too. This is to obtain lower gas costs on-chain while verifying the matching correctness. It is our first step towards a hybrid approach which we believe it will prove itself to be a good scalability solution in the months to come. Also, in a similar way to what happens on fully decentralized platforms, transactions between wallets will be based on so-called atomic swaps: trading operations will be indivisible and can only terminate with a full exchange; otherwise, nothing happens and the operation is safely cancelled. As soon as we develop the exchange, we will launch an update of both the iOS and Android app. Most times the app will be updated on your device automatically. To be sure about it, you just need to go to your favorite app store and check a box you can find in the top right corner of the app page to ensure automatic updates are enabled. 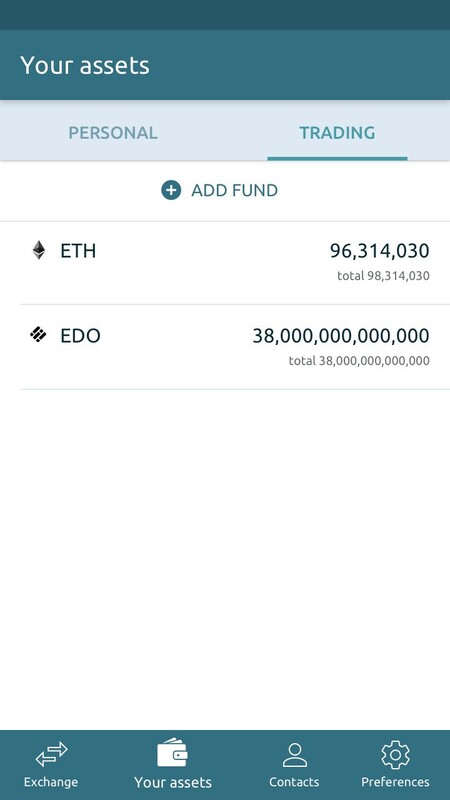 The very first time you will open the Eidoo exchange, you will be asked to make a small ETH transaction to pay the Ethereum Blockchain fees and to activate the Smart contract necessary to enable the exchange on your account. NOTE: we don’t charge any fee for this activation. These fees are only covering the Ethereum gas costs. The image below is how the transaction approval will appear (the following numbers and addresses are not real). After activating this hybrid exchange, you will have two different wallets in the main “Your Assets” page: personal and trading wallet. The first one contains all your ETH and tokens; the second one will store only the ETH and tokens you want to use within the exchange. This is very important because, once you deal with an exchange, you typically need to move your funds from your wallet to the exchange, so that you need to open an additional trust line because you are not the custodian of your funds anymore. This is something that we want to solve thanks to a strict integration of the wallet with the hybrid exchange. Thanks to such architecture the hybrid exchange will enable you to remain in control of your funds, and you won’t need to move them outside your trusted zone. To fund and withdraw funds from and to the exchange, these transactions are from the trading to/from the personal wallet. In these cases, a fee will be paid to the Ethereum blockchain, and we don’t charge anything. 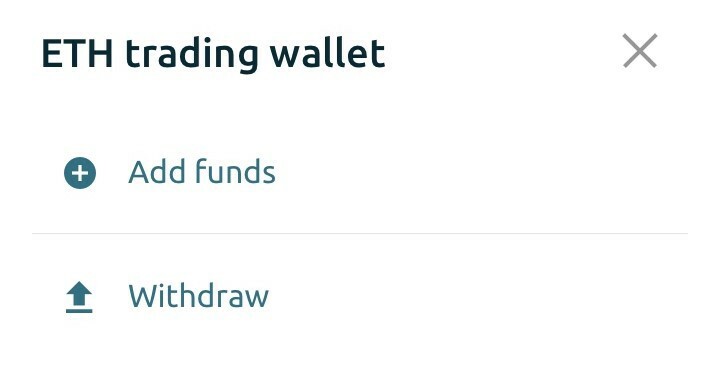 If you want to fund or withdraw funds, you just need to click on the “Add Fund,” option you can find on top of your Trading wallet. Then, the following menu will appear, so you will be able not only to add funds but also to withdraw them. 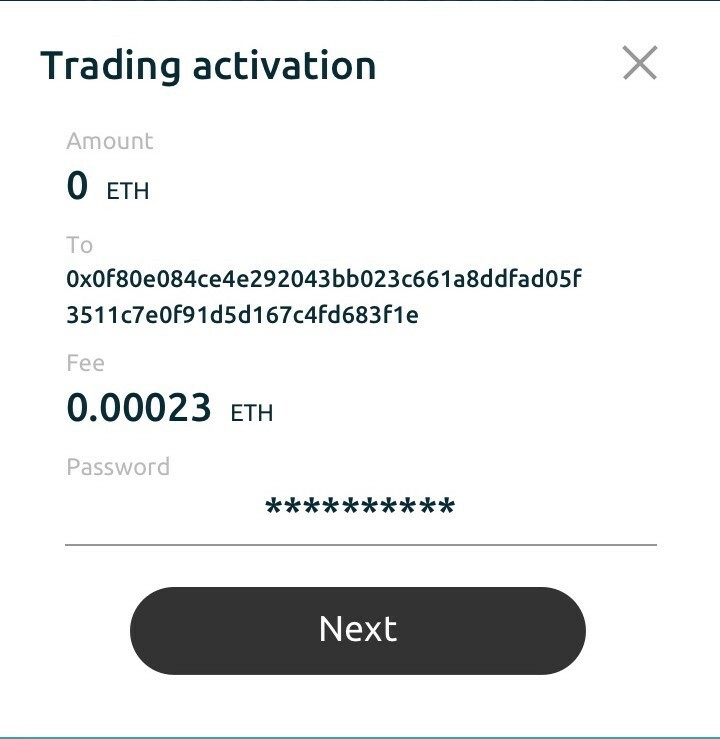 For example, if you want to add ETH, you will need to enter the amount you want to transfer from your personal Eidoo wallet and confirm the operation by entering your password. Instead, to withdraw tokens from the exchange to your Personal wallet, you will be asked to enter the amount of tokens you want to withdraw and then confirm the transaction by entering your password. The following image will show you a preview of the exchange homepage, telling you the available pairs, how many tokens you have and how they are performing. By clicking on a pair, you will be able to start trading. 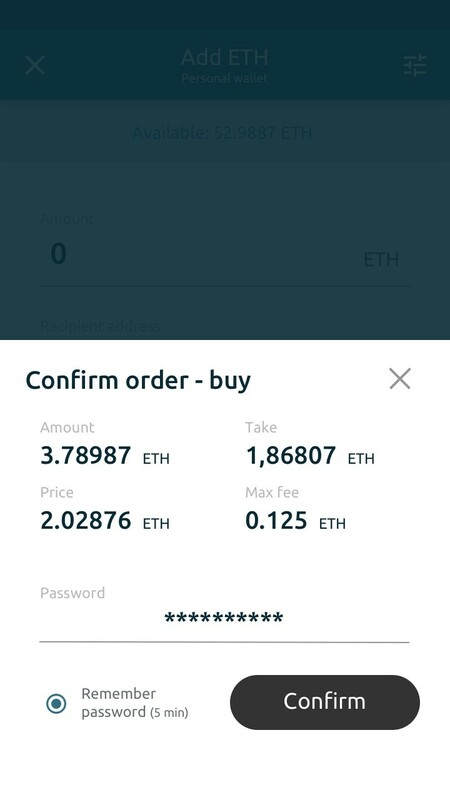 According to the amount you enter, the system will show you the max fee in ETH you will spend for that trade. Also, to confirm a trade (Buy or Sell), you will need to enter your password. Stay tuned! We will announce the date of the launch of the Eidoo hybrid exchange very soon.